A varnish is a clear liquid with a distinctive smell. Varnishes comprise a variety of products that are used for providing polish and glazing coat for wood floor and furniture. Varnish Poisoning is the accidental or intentional intake of the compound. The intake may be through swallowing varnish liquid. What are the Causes of Varnish Poisoning? What are the Signs and Symptoms of Varnish Poisoning? The signs and symptoms of Varnish Poisoning can vary from one individual to another. It may be mild in some and severe in others. Several systems of the body, such as the digestive system, respiratory system, vascular system, urinary system, skin and ENT may be affected. How is First Aid administered for Varnish Poisoning? Who should administer First Aid for Varnish Poisoning? 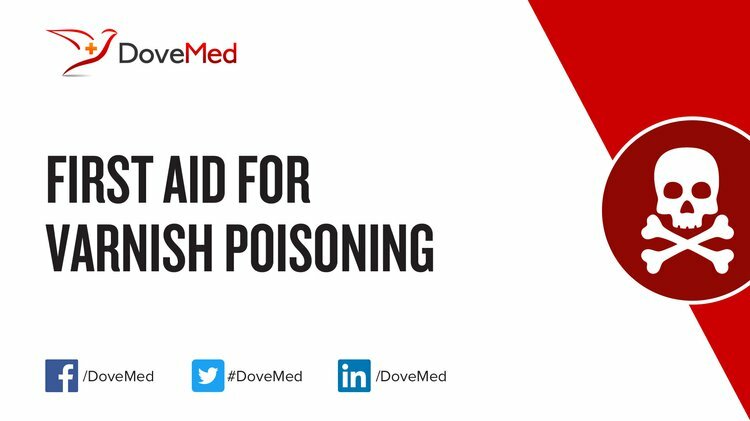 First aid for Varnish Poisoning is administered by healthcare professionals. What is the Prognosis of Varnish Poisoning? How can Varnish Poisoning be Prevented? Street, L. (2012). SAFETY DATA SHEET WATER BASED ACRYLIC VARNISH-GLOSS. Paints, C., & House, C. (2013). Safety Data Sheet. Eye, 11(R41), R43. LACQUER, D. S. SECTION 1: Identification of the substance/mixture and of the company/undertaking. Signal, 310, 0016. Fitzgerald, K., McGovern, E., & Ní Chaollaí, A. (2017). First tooth, first visit, zero cavities: a practical approach to the infant oral health visit. Journal of Irish Dental Association. Figueras Ferrer, E. (2013). Getting to know about health and safety related to products used in painting, drawing and printmakin. Schirmer, J., Havlena, J., Jacobs, D. E., Dixon, S., & Ikens, R. (2012). Lead exposures from varnished floor refinishing. Journal of occupational and environmental hygiene, 9(4), 280-287. Y Miller, F., Campus, G., Giuliana, G., R Piscopo, M., & Pizzo, G. (2012). Topical fluoride for preventing dental caries in children and adolescents. Current pharmaceutical design, 18(34), 5532-5541.